This band is something like a safe bet. Live they will never disappoint! Who are we talking about? Of course about the crust / grind machine of KRU$H from Holland! If you like the old recordings of DISRUPT and EXTREME NOISE TERROR and have not seen this band live (big mistake! ), there is nothing to think much about. You have to put things right at this year Obscene Extreme Festival 2016!!! 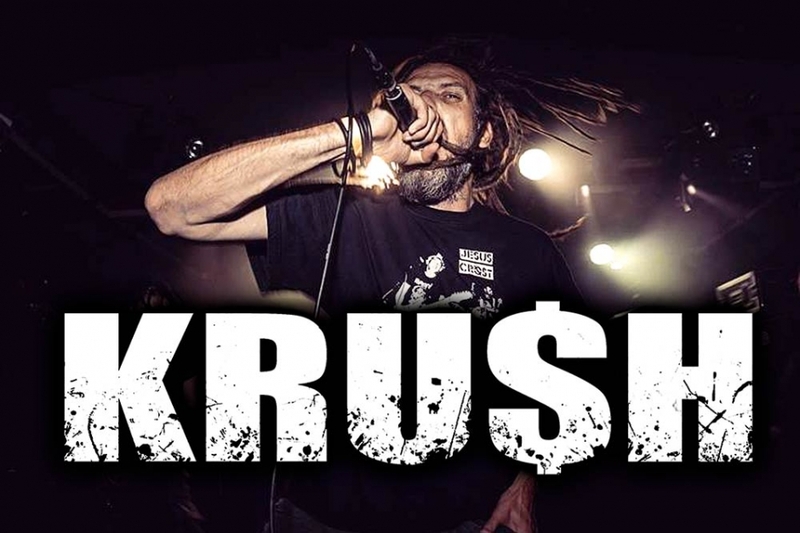 Dutch crust-grinders Krush are around since the 90's and have released one full-length album and 5 seveninches. Expect a mix of crust-grind paying tribute to Disrupt and early Disfear, Disgust, Extreme Noise Terror, Terrorizer and Napalm Death. If these bands are high on your list, you should definitely check 'm out. Back in 1996 the first KRU$H songs where formed with the idea to just release one demo tape with a raw crust sound inspired by bands like Disrupt, Disfear and Disgust. After this tape was released on vinyl by German label Beyond Records Krush started to play live. Now, almost 20 years later, Krush is still around. Through the years the lineup changed but the current lineup was formed around 2000. Just recenlty the line-up changed a little. Dennis leftentering Rogier who is famous for his stuff with Carnival of Carnage, Tumor, Fecivomitatie and even Last Days of Humanity. Today Krush are: Rogier, Row, Mier, Mich and Jay. The name KRU$H, written with a K and dollar S, stands for smashing capitalism and everything that brings harm to humans, animals and planet.